Adam reviews the intimate Neo-Noir Sweet Virginia released on Blu-Ray by Shout Factory starring Jon Bernthal, Christopher Abbot, Imogen Poots, and Rosemarie DeWitt. Images of a bull riding contest play out over ominous music as the Neo-Noir, Sweet Virginia begins. This unexpectedly beautiful imagery of “Man versus Nature” is central to the film and its main characters. The fight and pull to remain atop, holding on for dear life, even though life seems to not want you to hang on. The second film from director Jamie Dagg is the type of intimate crime film that you can almost feel and taste the violence on screen. More drama than an exercise in genre, Sweet Virginia shows the ever-growing circle of violence that can perpetuate with one act. That violence is not glamorous. It’s quick and visceral, designed to show you the damage that is done beyond the physical. The story begins with the triple homicide in a bar in Alaska. The act that has true consequences on Sam (Jon Bernthal), Bernadette (Rosemarie DeWitt), Lila (Imogene Poots), and their respective lives. How the film manages to take this setup and other narrative clichés of the genre like the killing of a husband, the double indemnity con, extramarital affairs, and the stranger prone to violence is what separates Sweet Virginia from its contemporaries. The film is more at home with the crime films of the 1970’s like Night Moves or Who’ll Stop the Rain. These characters play out what could be considered a chamber drama, with those standard Noir conventions. Part of the pleasure in Sweet Virginia comes from its trans-configuration of those clichés to refreshingly alive storylines. Even the standard femme fatale role is one of that has morphed into something more human and less caustic. Sam who’s almost verbatim a Noir protagonist, the Hotel Manager, is given a sense of life beyond the hotel and the crimes that play out on screen. Even amongst a cast doing strong low key emotional work, Christopher Abbott as Ellwood the stranger/drifter is a stands out. Abbott has quietly amassed an impressive roster of performances in great, albeit under seen, indie drama and genre films. Abbott is electric playing this broken shell of a man whose impulses are barely kept in check. The role could have been your standard-issue psychopath of the week, but the actor imbues the role with a child-like awkwardness that recalls the type of work that DeNiro had done in the 70’s and 80’s with Scorsese. Jon Bernthal continues to find new roles to confound expectations. As Sam, Bernthal is the broken heart and soul of the film. The actor takes small affectations, movement, gaits, posture to give us a glimpse of Sam beyond this story. That inner life and history make not only his performance better but everyone around him. Rosemarie DeWitt as Bernadette is aided immensely by his super work. Bernadette is a woman in transit, being given a second lease on life and not wanting to wait for that life to begin any longer. DeWitt brings the sort of grace and understanding to a role as written could have come across as calculating and heartless. In her hands, Bernadette is heartbreaking, unable to have what she wants and being frustrated by it. The work her and Bernthal do together is mature and lovely. DeWitt brings out a vulnerability that none have been able to in Bernthal’s career. Bernthal by turn is the first male performer to actually have chemistry with the actress, who has largely been cast as the dutiful wife/girlfriend of the indie-manchild that liter the indie dramedy of the last few years. Sweet Virginia is beautifully understated cinema. Bombast has been traded for intimacy and real drama. For many mature is an awful word but in this case, it is anything but. Sweet Virginia is something that rare nowadays; a mature affecting drama. Rarer still is that the film is a damn good one. IFC has provided Shout Factory with a solid transfer that edges are the darker and softer side. This appears to be the effect the filmmakers were going for rather than a mark against the transfer itself. No extras were included on this release. Sweet Virginia is unexpected drama in the best way possible. Recommended. 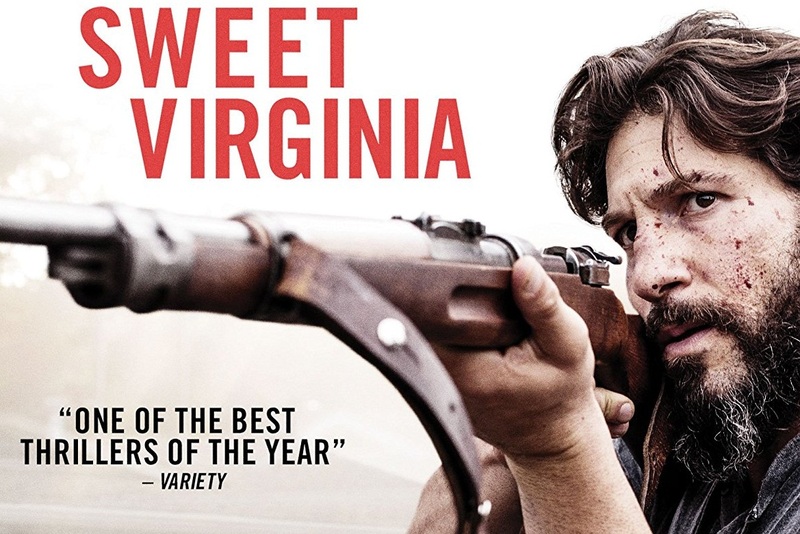 Shout Factory’s Sweet Virginia Blu-Ray on April 3rd.